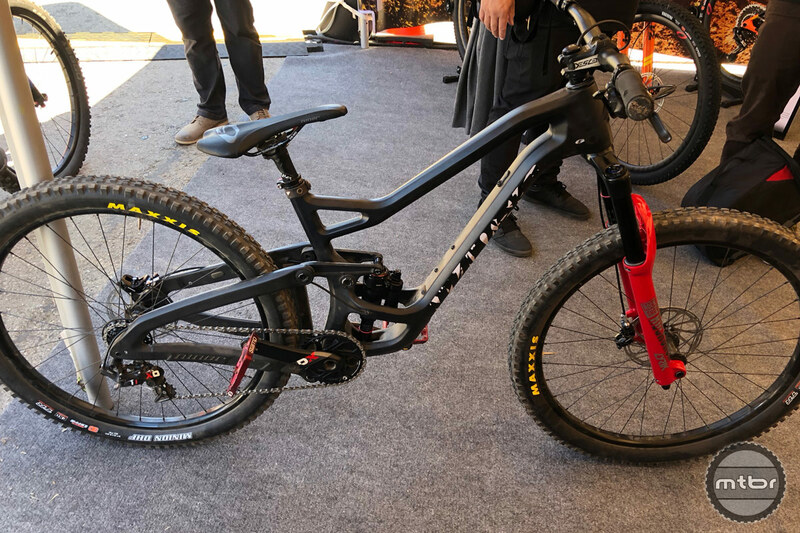 Niner’s first dedicated 27.5 bike on display at the company’s Sea Otter booth. Coming a day after the newly energized Fort Collins, Colorado-based company unveiled a full-suspension gravel grinder, Niner gave Mtbr an exclusive preview of its initial entry into stock 27.5 territory. Previously Niner’s only 27.5 offerings were plus-compatible 29ers. 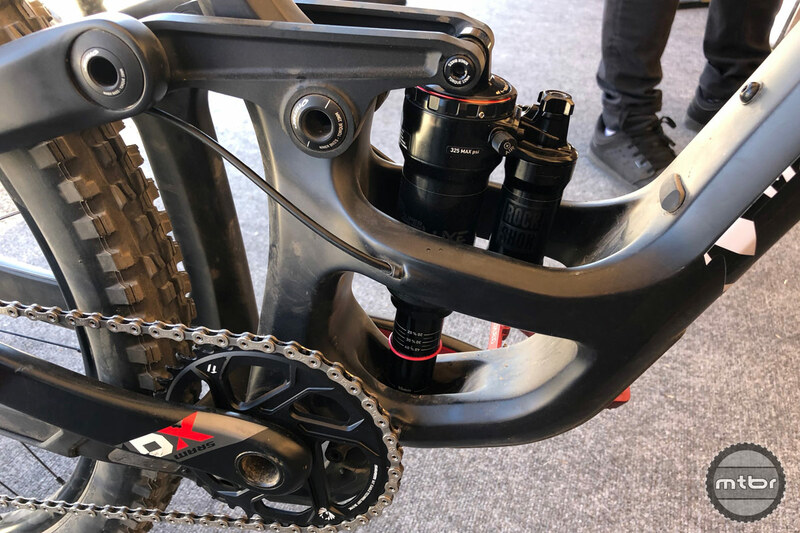 Full spec or pricing for the new rig aren’t available yet, but the bike will feature 140mm of rear travel with adjustable head angles of 65 and 66 degrees. The bike’s low standover and stiff but supple rear triangle gets raves from pro Kirt Voreis. “For slalom and playing around, this bike is unbelievable,” said Voreis. “The low standover lets you really get wrapped around the bike on tabletops and things like that.” The rear suspension is super responsive, Voreis added. And a reinforced shock cradle provides stiffness and protection from trail spray. The reinforced shock cage has plenty of room for coil version. Voreis said the roomy pivot box will easily accommodate coil shocks. He also praised the internal cable routing for its “super stealth” look and easy manageability. 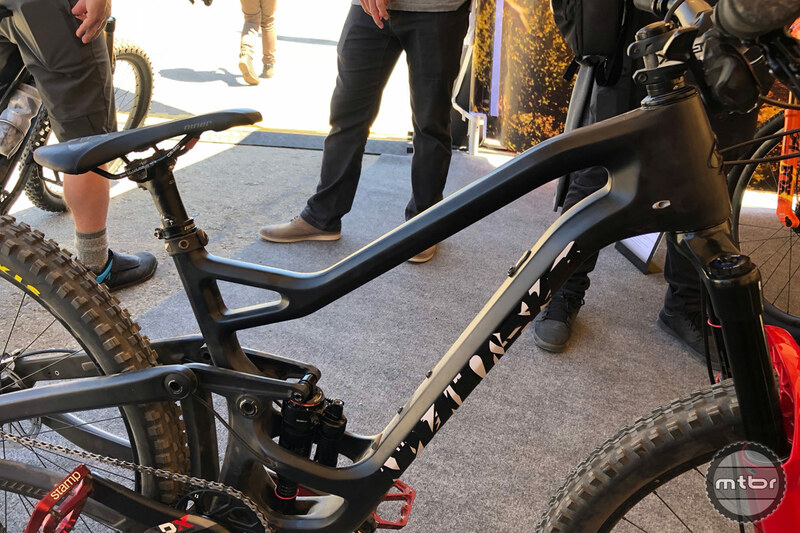 Asked if the bike has a name yet, Voreis laughed and said, “In-house, yes, but not for public consumption yet.” Like its grinder cousin, it’s slated for release in 2019. A matching 29er version is also in development. Rowdy-ready 65- or 66-degree head angles juice the fun factor. Note Voreis’ custom front brake cable routing through a drilled headset cap for bar spins. Niner, which gained a cult following for its early adoption of the 29er platform, got a much-needed cash infusion after being purchased last month. The deal enabled fruition of several models well under development before the company encountered financial straits last fall. Niner fans who have pressed the company to produce a 27.5 model will have their prayers answered next year. For more information, visit www.ninerbikes.com. This article is part of Mtbr’s coverage of the 2018 Sea Otter Classic in Monterey, California. For more from Sea Otter CLICK HERE. 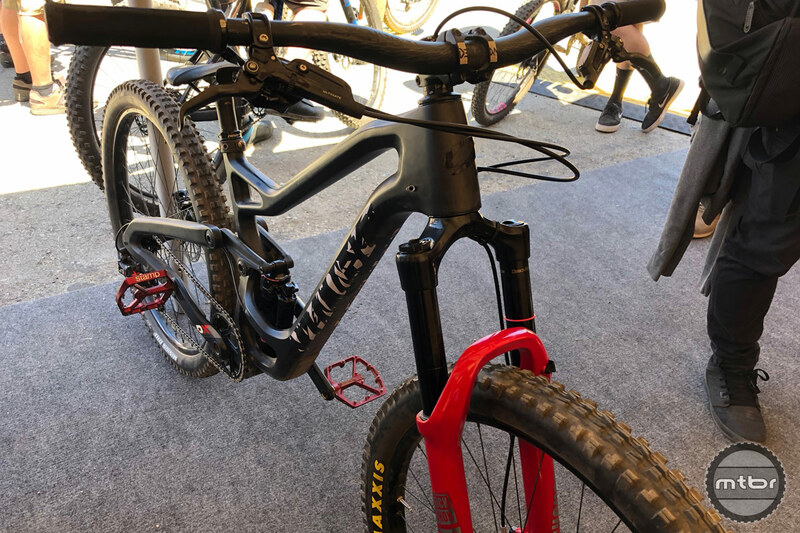 Niner’s first dedicated 27.5er at the company’s Sea Otter booth. Low standover and stiff but supple rear triangle gets raves from pro Kirt Voreis. Reinforced shock cage has plenty of room for coil version. Rowdy-ready 65 or 66 degree head angles juice the fun factor. Note Voreis’ custom front brake cable routing through a drilled headset cap for bar spins.